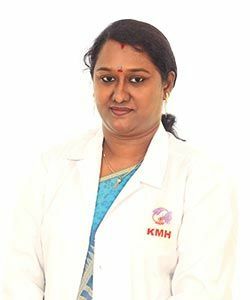 The Department of Radiology in Dr.Kamakshi Memorial Hospital (KMH) has equipped with the leading technology and improved its standard to multi speciality conditions for the diagnostic work and as well as for the interventional services. Radiology is the branch of medicine that uses x-rays and other radiations to treat and diagnose the diseases. There are two types of radiology: one is diagnostic radiology and the other is interventional radiology. Diagnostic Radiology uses radiation to imaging the anatomical structures in the human body and helps in procedures to diagnosis of the patient. The healthcare professionals specialized in the interpretation of the x-ray images is called diagnostic radiologist. 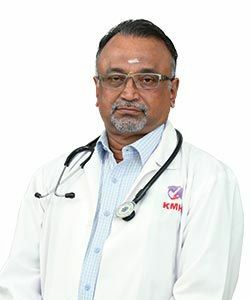 It helps the physician and health professionals to diagnose the cause of the symptom, helps in identifying the patient's body responses to the treatment and in screening of the major ailments. In the Interventional Radiology, the imaging techniques like CT, ultrasound, MRI and fluoroscopy were used by the physicians to perform diagnostic and therapeutic procedures. 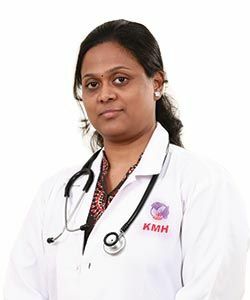 It reduces the expenses and risks of the patients undergoing diagnosis and it also reduces the recovery time and makes the patients to get back to their routine work very quickly. With the help of technology, this interventional radiology process helps the physicians to examine any parts of the body through scope (camera) in smaller incisions rather directly looking inside the body. This radiology technique is often used in treating cancer or tumours, blockages in the artery and veins, fibroids in uterus, liver problems and kidney problems. 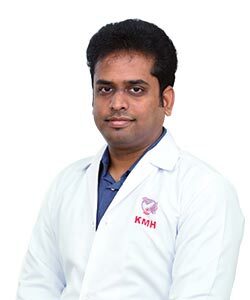 Dr.KMH has actively involved in various clinical research and training to ensure the best life care services provided to the people who access our services. The Radiology department in the hospital is equipped with new technologies and advanced equipments based on the focus of patients for the early diagnosis and treatment.